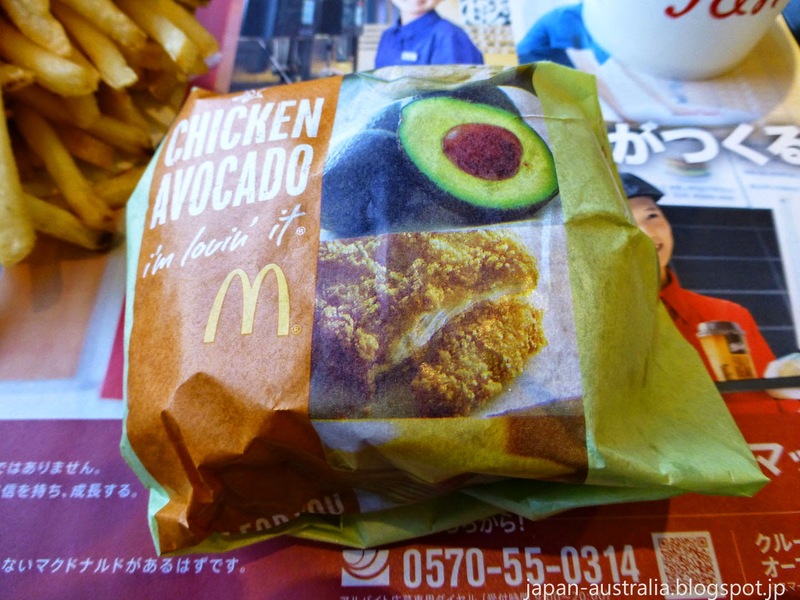 McDonald’s Japan is offering a new limited edition avocado burger that is surprisingly good. The burgers come in three varieties: Beef, Chicken and Ebi (Shrimp). All the burgers feature large chunks of avocado and Italian style ciabatta bread. 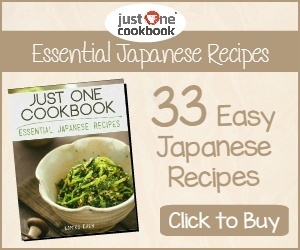 The beef version contains a spicy wasabi soy mayonnaise sauce, while the chicken and shrimp contain a Cobb salad style sauce. 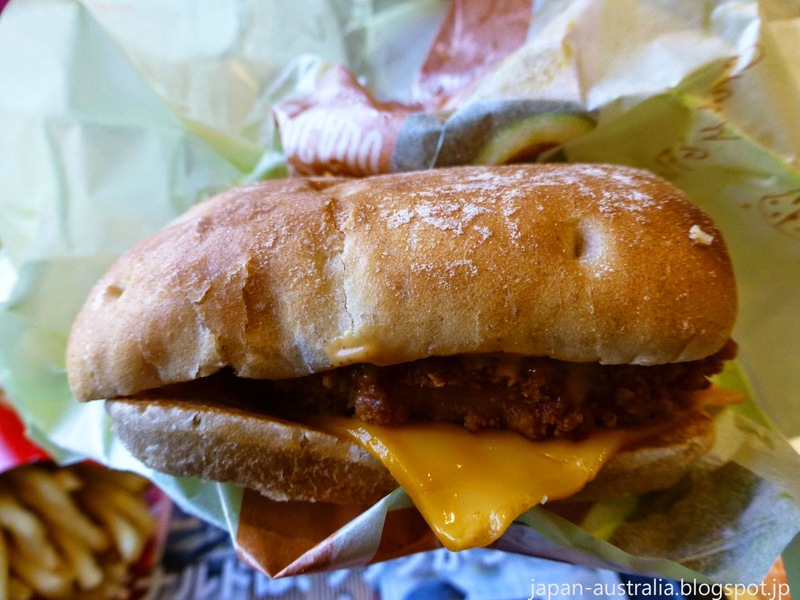 The burgers went on sale April 17th and cost around 399 yen (USD$3.90) each. They will be available through late May. 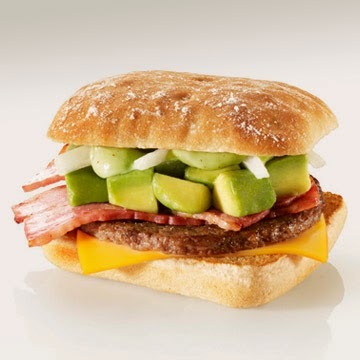 The Avocado Beef features sliced onion, large chunks of avocado, a slice of cheddar cheese, two rashers of bacon, a grilled beef patty and is topped with a wasabi soy mayonnaise sauce. 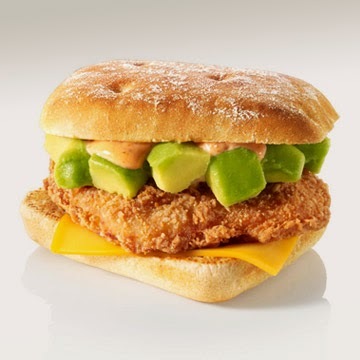 The Avocado Chicken features large chunks of avocado, a slice of cheddar cheese, a crispy fried chicken patty and is topped with a spicy, creamy Cobb salad style sauce. 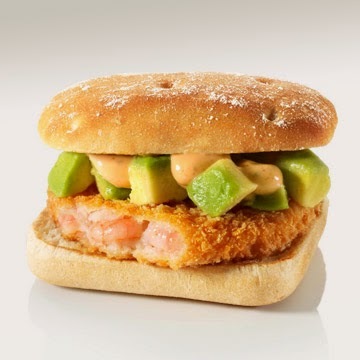 The Avocado Shrimp features large chunks of avocado, a crispy fried shrimp patty and is topped with the same spicy, creamy Cobb salad style sauce as the Avocado Chicken. All three of the burgers are contained within slices of floury Italian style ciabatta bread. This is certainly a step up from the usual plain old buns used by McDonald’s. 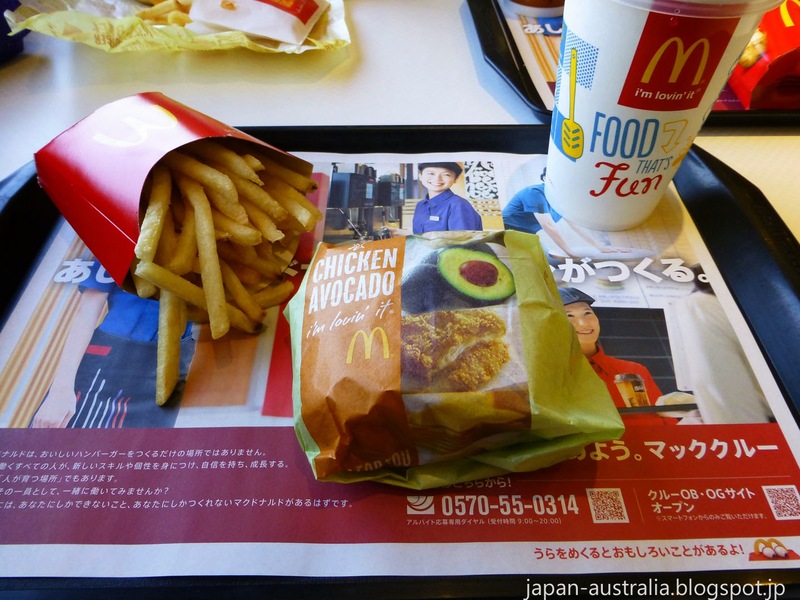 Japan Australia being a huge fan of avocado had to give this new burger a try, so we headed to our local McDonald’s to test it out. 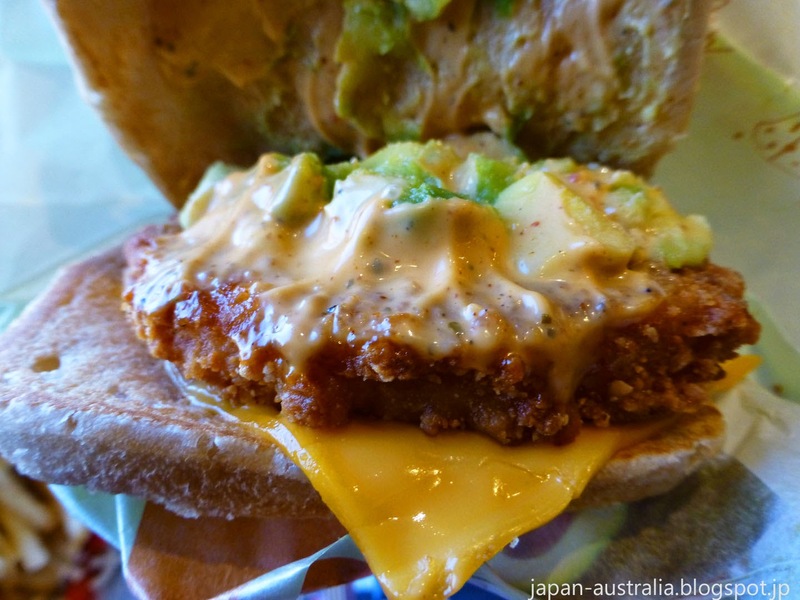 We decided on the Chicken Avocado Burger as chicken and avocado is an awesome combination. It got off to a great start with the burger coming in some pretty attractive packaging. We weren’t disappointed and the burger was pretty good, but not quite as spectacular as we hoped for. The floury ciabatta was very good but the avocado pretty much dominated all the flavour and that was all we could taste. Unfortunately, it didn’t quite live up to our high expectations. I’d like to give the beef version a try to see if it is any different. Have you given these a try? If so, what did you think? Looks like there's almost no avocado on the actual burger? I love avocado, but if there's almost none, I'm not very tempted. Looks quite different from the ad pictures. Unfortunately, they never actually look quite as good as the picture. This did have quite a bit of avocado, but it was covered in sauce so is hard to see. The avocado taste was very strong and really dominated all the other flavours.